As we’ve stated time and again on this site, colleges aren’t particularly interested in students who don’t want to push or challenge themselves. They aren’t impressed by applicants content with fulfilling the bare minimum. Conversely, they want students who demonstrate intellectual curiosity. They seek candidates who readily embrace hard work and academic exploration. So, how do you prove you have scholastic ambitions? Well, one of the best ways to demonstrate these attributes is by enrolling in a few electives. To refresh your memory, electives are courses that fall outside of your required curriculum. Indeed, you don’t typically need electives to meet your graduation requirements (though you might need them to meet the credit minimum established by some colleges). However, these classes can definitely flesh out your schedule. It should be noted that electives will be included on your transcript and the grades you earn will be calculated into your overall GPA. Perhaps more importantly, electives are a fabulous way to explore new academic areas. Your core subjects are designed to give you a breadth of knowledge and introduction/grounding in important disciplines. However, they certainly leave many areas untouched. By taking an elective or two, you might be able to study a diverse array of subjects like economics, media or music. They’ll expose you to new topics and ideas and might even help shape what you’d like to pursue in college and beyond. Additionally, electives are the perfect way to explore a subject you’re passionate about in greater depth. For example, if you’ve always loved your English classes, you might want to consider enrolling in a Russian literature course or a creative writing elective. These classes will certainly broaden your understanding of a beloved discipline and likely help you strengthen the skill-sets a particular subject demands. Another advantage to taking electives is that you can use these classes to establish a continued pattern of interest in a particular academic area. That way, if you do declare an intended major on your application, schools will see that you’re serious about this undertaking. What’s more, you’ll be guaranteed a firm foundation when you reach college. Sure, electives will likely increase your workload. However, we doubt they’ll break the proverbial (homework) bank. If you have a good handle on your schoolwork, you should definitely consider registering for an elective or two. They’ll likely serve as a great antidote to your required classes. What’s more, they might even help you get excited about school and learning. After all, you have the opportunity to choose the classes that you want to take. 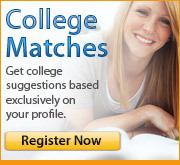 And, of course, they’ll help show colleges that you’re serious about your academics. So what are you waiting for? Go talk to your guidance counselor about your elective options for next semester!